A place of ups and downs, a honey-comb of lanes and dwellings,a destination that fights to keep itself above the fumes and filth of the suburban traffic; dear old Jammu is like an aristocratic grandma who, despite the clangor of our times, still retains some of her reserve and charm. As a schoolboy many many decades ago, I used to take pride of the fact that my city shone like a newly minted coin only a few minutes after a downpour. The reason was plain. Old Jammu is located on ridges of varying heights. Rain water washed the streets off their dirt and the rest was done by gravity. The Tawi was the lifeline of the city and our forebears maintained that vital connection with the Suryaputri through several dhakkis. The upper end of these stone-paved paths led to neighbourhoods- Mohalla Dhaunthali (a distortion of the Sanskrit word ‘dharmasthali’- sacred place), MohallaJullahKa, ToanAaliDhakki that terminates today at Indira Chowk, GumatDhakki, and so on. The nifty little city that lay from Mubarak Mandi to Gumatwas fortified with stout walls. 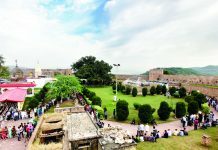 The Gumat had a proper deodi where the incoming visitors from Lahore and Sialkot were screened before being permitted to enter the city precincts. At JullahkaMohalla was an octroi post. The palace complex at Mubarak Mandi had five entrances: the ShahiDeodi on the west,which was reserved for the royalty; the deodi at PakkiDhakki for the palace retainers such as barbers; the one facing PanjTeerathi for the royal cooks;the deodi at Mandi Mubarak for official purposes and the DeodiMandi for the general public. As was natural, it was around Mubarak Mandi – the hub of activity in the city – that bazars of Jammu took shape. 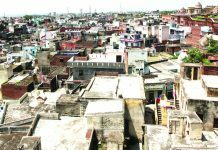 Gradually, other market places such as the Raghunath Bazar, the Lakhdata Bazar, the Moti Bazar, the KanakMandi, appeared to cater to the needs of the people. The Jammuites were foodies first and foremost. Chan Halwai of PanjTeerathi was renowned for his milk. NaintuHalwai of Peer Mitha made mouth-watering milk-based sweets, burfi and rabri. Paras Ram of PanjTeerthi came up with his secret recipe of Khatta Meat – a sour-meat dish which is still relished by the gourmets.Hari, again of Panjteerathi, earned himself a name and fame for his head-turning Ohriya – a preparation made of curd and mustard seed. There also were Oma (of MohallaAfghana) of matkakulfi and flooda fame; Baba Dunni who made the best of madra and suchchiyan; and of course, Fattu di dukan which is still famous for its mithiseviyan, shikanji and revdiyan. 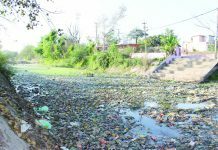 Though Old Jammu was located at a height from the river Tawi, availability of water in the city was the least of the problems even in its interior. 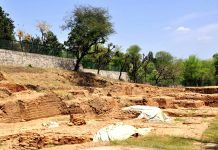 Carefully dug out and patiently kept water-bodies such as the Rani Talab, the bowli at Raghunath Temple, the TalabTillo provided water to the public throughout the year. That was before the citizens were supplied tapwater. I still remember the ornate cast-iron spouts installed at prominent places in the mohallas for the convenience of the households. The Dogra rulers seem to have been paternalistic in attitude towards their subjects, regardless of what their detractors may say today. It is said that Hari Singh’s predecessor, Maharaja Pratap Singh, used at night to tour the city incognito to have first-hand knowledge of how the commonest of the citizenry lived. During one such trip, Pratap Singh came across a jheer whose wife had been kidnapped by a very influential personage inMaharaja’s own kinship. The legend has it that, on Maharaja’s orders, the kidnapper had to restore the lady to her husband on pain of surrendering his own wife to the complainant. There is another story of Pratap Singh’s forbearance towards his subjects. One Labba, a goldsmith by profession, managed to establish his shop in the Mubarak Mandi itself. The squatter was hauled before the Maharaja who asked him how he daredencroach upon the government land. Labba is said to have replied, ‘Maharaj, when you and your predecessors have occupied the whole of Jammu and Kashmir and the lands beyond, won’t you allow a poor man like me to run my shop in that tiny corner of Mubarak Mandi? The upshot was that though Labbawas evicted eventually, Maharaja didallot him two shops in the vicinity. Jammu people were religious-minded, without being bigot. If Jammu was a city of temples, the mazars and gurudwaras too were given equal respect. The shrine of Pir Mohabat Ali Shah at JullahkaMohalla, the Gurudwara of Maharani Chand Kaur (the wife of Maharaja Kharak Singh, son of Maharaja Ranjit Singh) near Jewel Chowk and the most of famous of all, the Nau Gaza Mazar of Pir Roshan Ali Shah at Gumat are some of the standing examples of the inter-religious amity that prevailed in old Jammu. Curious as it may seem, the complexes of the bigger Hindu temples were extensively used for secular purposes as well. Prithvi Raj Kapoor – that doyen of Bollywood – brought here his Prithvi Theatres and performed a number of plays near the bowli at Raghunath Temple. DiwanMandir used to be the venue of Ram Leela. It was in this temple that Jammu’s leading literary organization, DogriSanstha, was born. Saraswati Club, Panjteerathi was another cultural body, which though not functioning from a temple, conducted several plays. 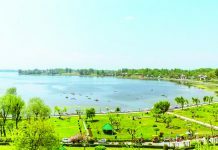 The city of Jammu has the honour of giving to the world some of the most talented artistes like the singer-actor KL Sehgal, actors Om Prakash, Sundar and Darshan, the tablamaestroUstadAllarakha Qureshi, popularly known as AllaRakha, MallikaPukhraj and PanditShivkumar Sharma, the world renowned Santoor player and VedRahi, poet, writer and film-maker. Jammu was a fun city that celebrated festivals throughout the year. In January came Lohri. Boys of all ages grouped together to make a chhajja with colour paper and strips of bamboo in the shape of a dancing peacock. They rehearsed for days together to dance bhangra, holding sticks in their hands, much like the Gujarati Garba. On the festival day, which generally fell on the 13th of the month, they hired a drum beater and the whole day long they went from one family celebrating the birth or wedding of son to another, dancing with gay abandon till the head of the family gave them a few rupees. At night, a sacred fire was lit with all the members of the family sitting around and munching walnuts, popcorn and revadis after making oblations to the fire. The 9-day Nauratras, Gurupurbs, Holi, Baisakhi, the month-long Raade, Rakhi andDiwali,Eids, Moharram – all were celebrated with the spirit of faith and fervour. 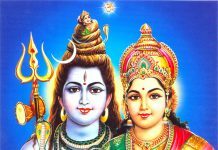 Of three festivals I have good reasons to recall. On Ram Naumi, the Dharmarth Trust distributed big-size laddoos and on the mid-night of Krishna Janamashtami, temples gave delicious panjeeri in prasad. 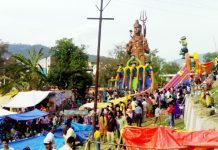 On the Dussehra festival, the main function was held in the Parade Ground. To the thundering applause of the crowd gathered to witness the burning of the tall effigies ofRavan, Kumbhkaran and Meghnath by Lord Rama, the Sadr-e-Riyasat, Dr Karan Singh, dressed up in the uniform of a general officer (he held an honorary in the Indian Army), took a round of the festooned ground in a military jeep, acknowledging the greetings of the masses. What did the people do if they felt like having a day out? They took a ferry ride to Gullu da Bada or Bainti da Bagh across the Tawi to have a picnic in the sylvan surrounds of the two gardens. Some families also availed of the opportunity to have their month’s supply of wheat ground at the watermills which could be accessed only on the river bank. The young were sportive and health-conscious. Wrestling akhadas were run at various place in the city. Love for cricket was an emerging fad. Drinking was a taboo. There was one liquor shop in Ambphala. The tipplers usually sent an emissary to have their bottle, as being seen there invited public scorn. Meat-eating too was looked down upon. The committed meat-eaters satisfied their craving on the sly. Old Jammu had its dancing girls too, quartered in what is now called Rajinder Bazar. Jammu has now changed for the better or the worse, as it should have after all these years of social and political upheavals. A major cause of the transformation is its readiness to absorb people from outside. In the early 19th century, the capital city was under the sway of Maharaja Ranjit Singh’s Sikh empire. Along with the Sikh overlords came Afghans. They liked the place well enough and settled in what is now called MohallaAfghana. 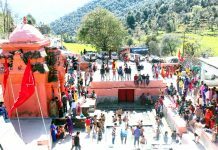 MohallaDalpatian and MohallaSarajan also came into existence by people who had to be in Jammu for one or the other reason. Consequent upon the 1846 Treaty of Amritsar, the role of Jammu city expanded with the soaring ambition of Maharaja Gulab Singh and his successor Maharaja Ranbir Singh. The widening frontiers of the Dogra domain made it necessary for people from far off Gilgit and Tibet to come to the city on trade or on official business. The citizenry of Jammu were exposed to the foreign ways and manners. A time also came when the administration thought to invite educated people from Punjab and other places in India because the locals were not then sufficiently equipped with the necessary skills to handle the increasing complexities of governance. The concept of according preference to a ‘state subject’over an ‘outsider’ and its much later fall-out of Art 371 was, it seems in retrospect, a necessary evil. Then came the historic 1947 influx of refugees from the territories occupied by Pakistan. 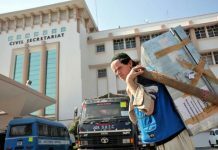 Thanks to the stratagems of Pakistan and rise in terrorism, there has been no stopping ever since ofpeople from outside finding a home in Jammu. There is Bakshi Nagar for the erstwhile Mirpuris and Muzzafarabadis, Rehari and Sarwal Colonies for people who came from Kotli and there is a Gujjar Nagar for the Gujjar community. The khuds and wildernesses of Jammu now host migrants from the Valley, from Punch, from Rajouri and from Sunderbani. According to an official estimate, ‘the annual rate of intra-regional migration is estimated between 29% to 35%. Being comparatively safe from terrorism, Jammu has become a hub of refugees. At present there are about 9-13 lakhs refugees living in and around Jammu in different relief camps.’ In comparison, the migration to the national capital, Delhi, is just 22.22% (2001 figures)! Old Jammu could not hold all these people in its narrow confines. They found quarter in the suburban Jammu, spread over miles and miles of the low lands. Jammu-walas deserve to be applauded for that. Unlike certain sections of people in J&K, they do not insist on the privileges of exclusivity. They adopt outsiders as their own. 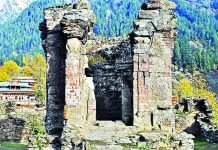 If one cares to think of Jammu as it has been during the not-too-remote a past, one cannot but see how positively it reflects the broader principles of peaceful coexistence that is the core of Indianness. Old Jammu might have lost its charm, but it still has its glory intact. Next articleA security forces’ vehicle damaged in stone pelting by mob at village Kiloora in Shopian during encounter with militants on Saturday.